What is the difference between an Emotional Support Animal, Service Dog and Therapy Dog? Emotional support animals or emotional support dogs do not have any special training and it is not required by law. Their primary role is to provide emotional comfort, companionship, friendship and affection to their owner. The idea around having an emotional support animal is that the disabled person will be able to function better with the companion pet around, but it should be clarified that emotional support animals are more than house pets since they serve a higher purpose. Emotional support dogs and cats are allowed access to “no pets” policy housing and in the cabin of airplanes with an ESA letter from a licensed mental health professional. Service dogs are highly trained, as they also have to fill their master’s limitations due to disabilities like physical impairment or blindness. Service animals are taught to push wheelchairs, or guide a blind person, or alert someone in case their master is having a seizure. 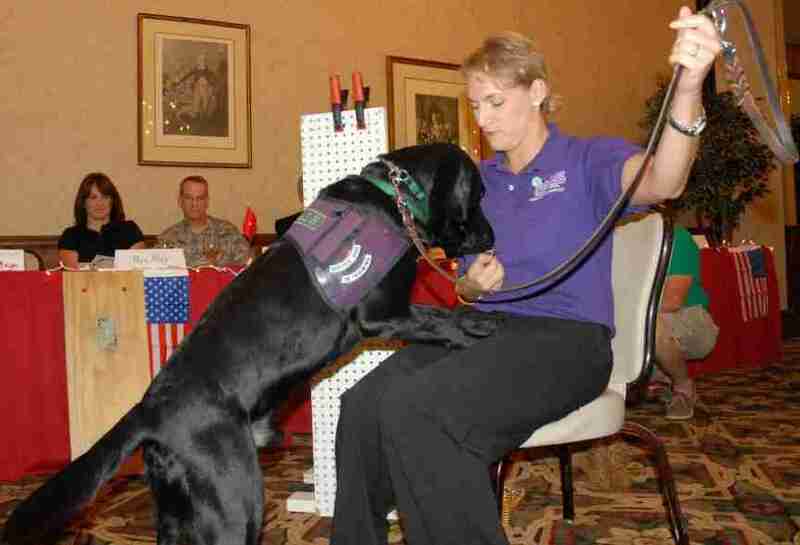 Service dogs are entitled to accompany their handlers wherever their handlers go. Therapy dogs are also highly trained, but compared to services animals, they are taught to be more socially adjusted to various people. Most therapy dogs are situated at hospitals, schools or communities that require calming, psychological and physiological healing. Therapy dogs do not have access like service dogs and emotional support dogs. Emotional Support Animals (ESA) are those that accompany a human with mental, emotional or psychological disability. In most cases, ESA companions are dogs or cats, but there have relatively been other animals that can very well serve the duties, such as a horse, turtle or rabbit. A person with an emotional support dog or cat has been prescribed by his doctor to have one. His/her therapist, psychiatrist, psychologist or any licensed mental health professional has determined that he needs to have a comforting companion to help alleviate episodes that may arise from his condition.